When I was first planning this workshop I wanted it to suit all abilities - those who had already made felt and also beginners starting out. Sometimes examples of flat felt just give the impression of random flashes of primary colour, loosely placed on an equally bright background. I wanted to show how pictures and patterns can be planned and executed in a more controlled way to produce a specific design or landscape. 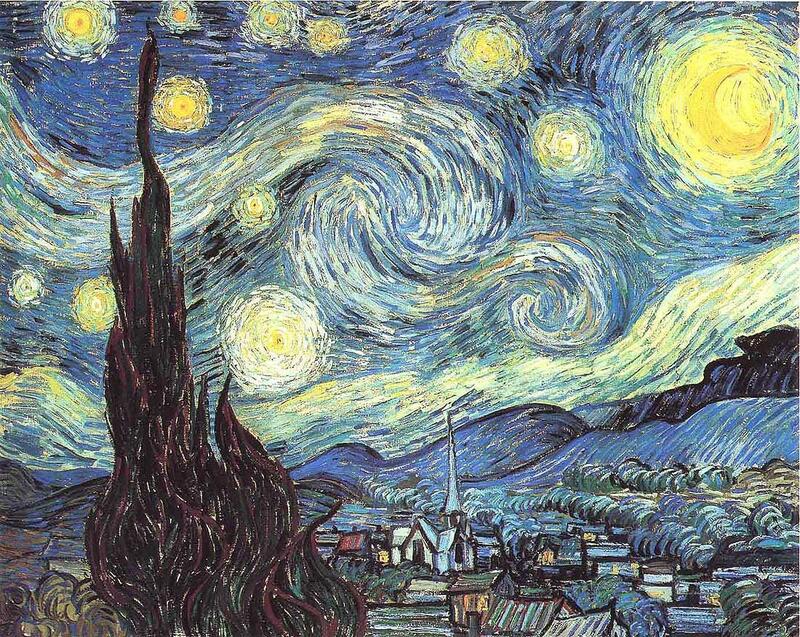 I decided to try and copy a painting myself, and chose these Van Gogh examples as they are so painterly, instantly recognisable and really lend themselves to the 'fibre interpretation'. 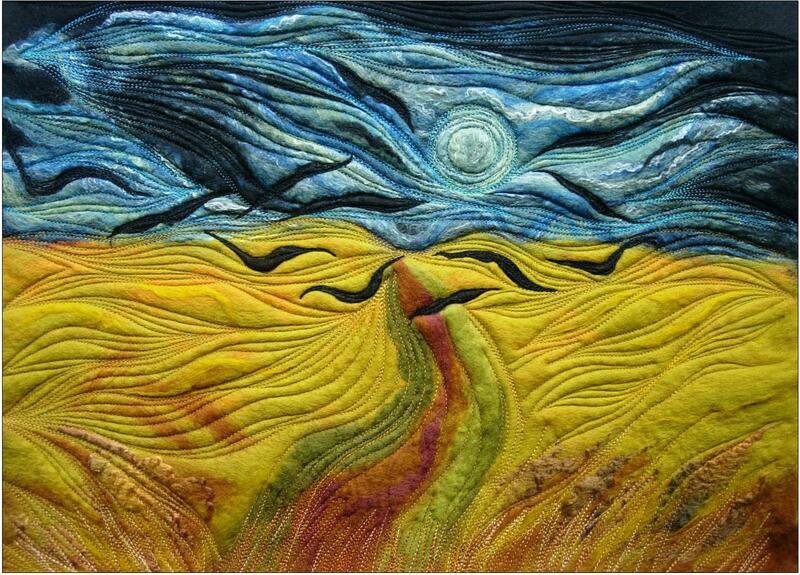 'Wheatfield with Crows' 1890 was my first effort followed by 'Starry Night'. I kept the interpretation quite free as I knew I would be able to tighten up some of the shapes and outlines with machine stitching and hand embroidery. I started out by colour matching my fibres as closely as possible to the original artwork, laying out two thick layers as a background and then had fun copying the details with smaller wisps of fibre. 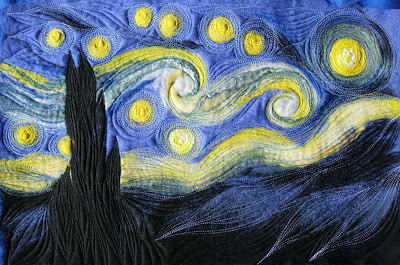 After wet felting I machine stitched into the picture, following the brushstroke textures in the painting. 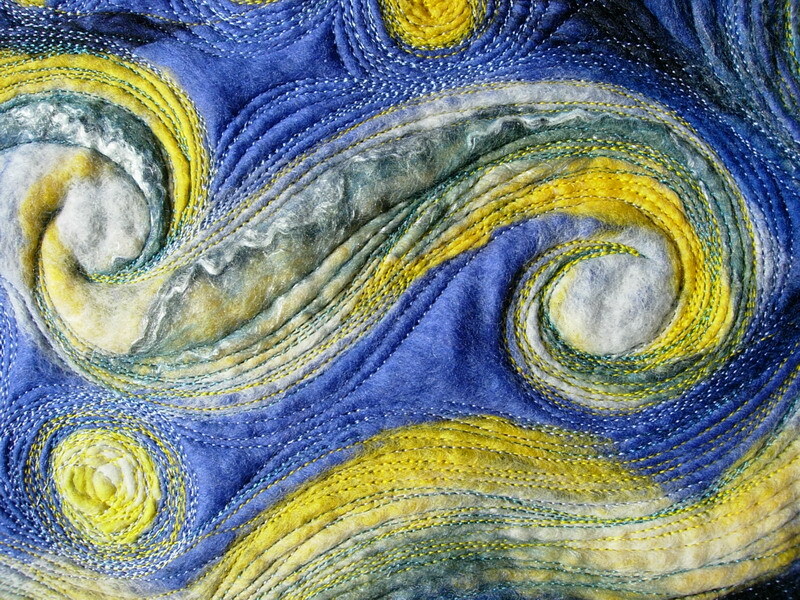 The resulting quilted effect helped to emphasize the contours and the movement. It's great once you get going with the machine stitching, it's knowing when to stop...! 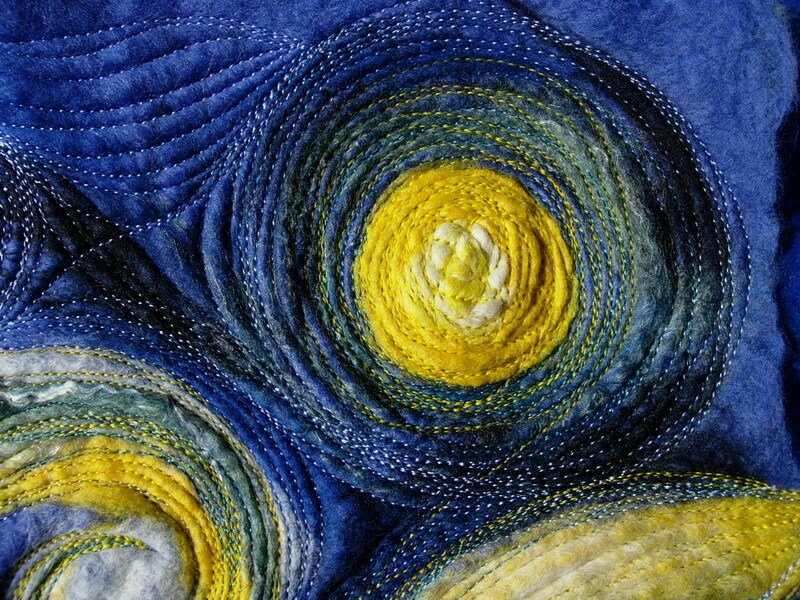 When people first discover felt, especially when they see me demonstrating at craft events, they handle the fibres for the first time and are drawn to the tactile softness and the colours... Then they ask "can I do this?" This workshop demonstrates that you can create pictures in felt, using fibres and textures as if you were painting a landscape and 'Painting with Fibres' describes the process perfectly.